How do I get another business to pay me on time? Extending credit to others in a business to business environment creates risk that can be damaging to your company and your bottom line. But how do you work with your customers in tough times? Do you shut them out or do you work with them? Give American Profit Recovery a chance to work with them. 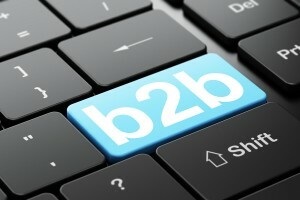 We work with a variety of B2B clients including distributors, suppliers, contractors, advertisers and more. Our system helps get you paid and preserve future revenue. Sometimes all it takes is a little outside help to get customers current or to come up with a solution to a payment issue. So we’re here as an extension of your internal credit department, getting you paid for what you provide and getting your receivables back on track. Extending credit to another business is a risk, that’s why APR is devoted to helping you and your company improve your accounts receivable program and get more money in the door on time. Your team has worked hard to attract and keep your customers. Let American Profit Recovery help you get paid quicker and be part of the team that retains your customers. Contact us today!